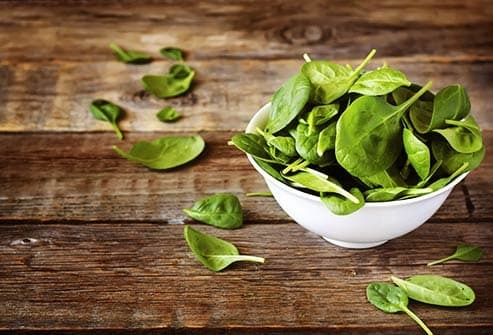 Like so many dark green leafy vegetables, spinach is full of amazing nutrients. It has tons of vitamin A, plus iron, beta carotene, folate, and vitamin C. These work together for a healthy scalp and mane. They keep your hair moisturized so it doesn't break. Want to mix it up a little? Kale is another great green choice. 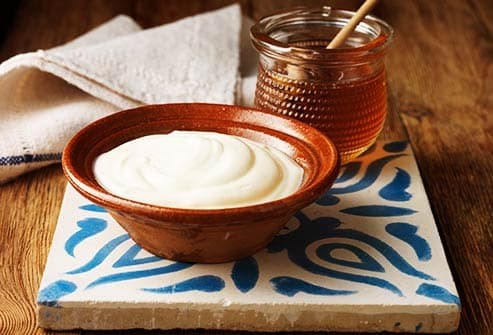 This tropical fruit brims with vitamin C. It protects your hair from breaking. 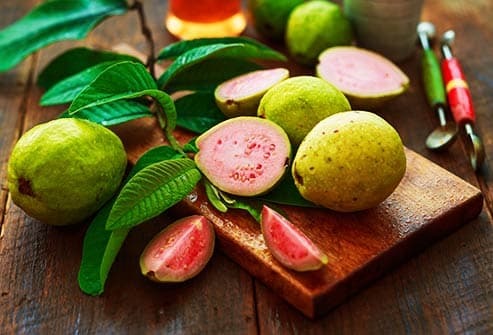 One cup of guava has 377 milligrams of vitamin C. That's more than four times the minimum daily recommended amount. Bonus! When you don't get enough protein, hair growth "rests." Since it stops and older hairs fall out, you can have hair loss. 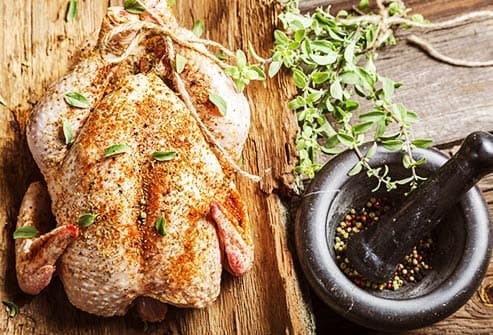 To get protein from meat, pick lean options like chicken or turkey, which have less saturated fat than sources like beef and pork. Have dry hair that's lost its shine? 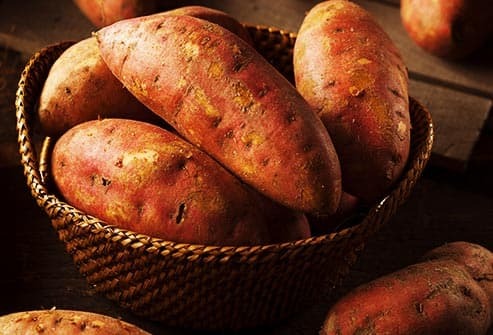 Sweet potatoes are filled with a good-for-you antioxidant called beta carotene. Your body turns beta carotene into vitamin A. That helps protect against dry, dull hair. It also encourages the glands in your scalp to make an oily fluid called sebum that keeps hair from drying out. You can also find beta carotene in other orange vegetables like carrots, pumpkin, cantaloupe, and mangoes. 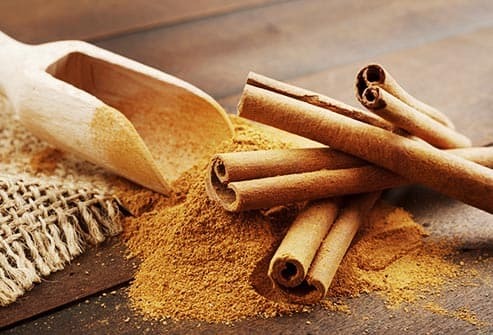 Sprinkle this spice on your oatmeal, toast, and in your coffee. It helps with blood flow, also called circulation. That's what brings oxygen and nutrients to your hair follicles. 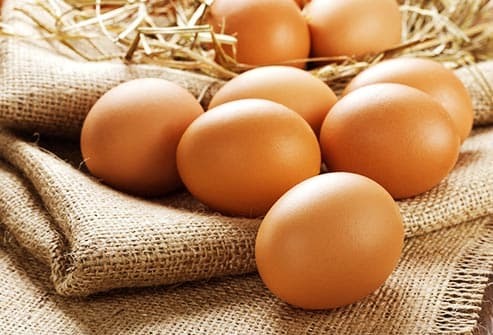 Your protein and iron bases are covered when you eat eggs. They're rich in a B vitamin called biotin that helps hair grow. 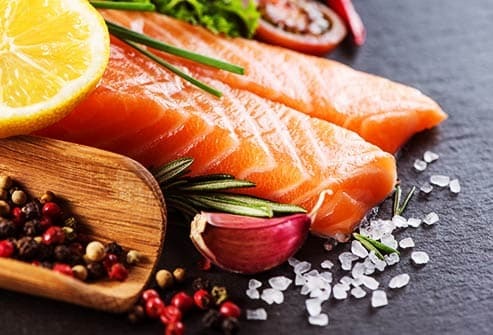 Not having enough of this vitamin can lead to hair loss. Biotin also helps strengthen brittle fingernails. These are rich in zinc. When you don't have enough of this mineral in your diet, you can have hair loss -- even in your eyelashes. 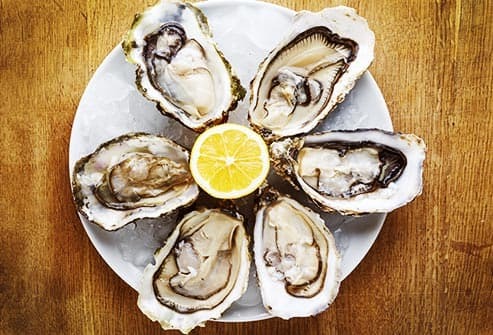 Cells that build hair rely on zinc to help them work their hardest. 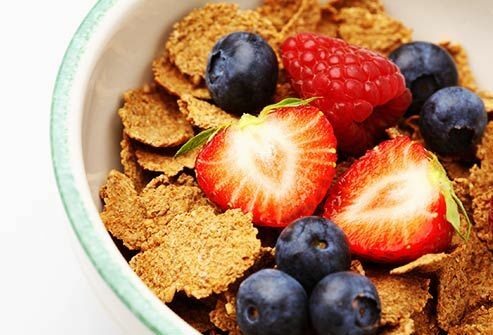 You can also find this mineral in beef, crab, lobster, and fortified cereal. Sandra Allonen, registered dietitian, Beth Israel Deaconess Medical Center. Aoi, M. Stem Cells Translational Medicine, June 18, 2012. Whitney Bowe, MD, board-certified dermatologist; clinical assistant professor of dermatology at Mt. Sinai Medical Center. CosmeticsInfo.org: "Panthenol and Pantothenic Acid." Hossein, N. Journal of Medicinal Plants Research, May 17, 2013. Kelly, G. Alternative Medicine Review, 2011. Linus Pauling Institute, Oregon State University: "Biotin." National Institutes of Health Office of Dietary Supplements: "Zinc." Julie Negrin, MS, CN, nutritionist, speaker, and author of "How to Teach Cooking to Kids." Ordon, A. MD, Better in 7: The Ultlimate 7-Day Guide to a Better You, 2013. The Merck Manual Home Edition: "Vitamin A." Ohio State University: "Vitamin A (Retinol)." The Vegetarian Resource Group: "Iron in the Vegan Diet."